One of the HBA setup areas is known as an "unfolding station". 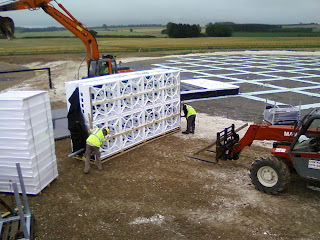 For each batch of tiles that are deployed onto the field, there must be a place where they can be unwrapped, unfolded and fitted out. In this photograph, the tile is being prepared to be lifted onto the unfolding station (which is directly behind the tile and is not visible). 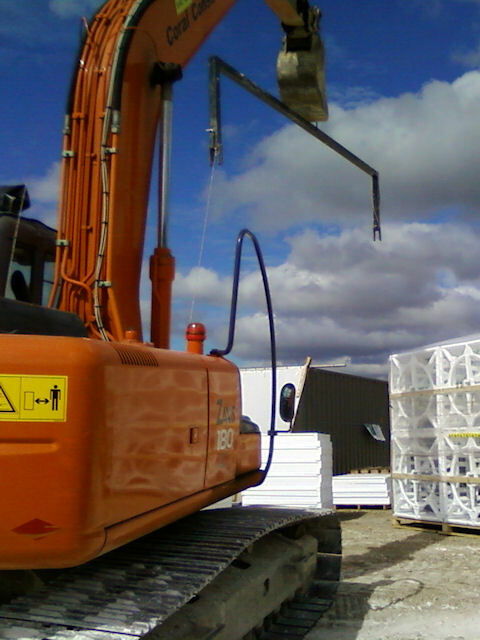 This is the lifting equipment that is used to lift the tile onto the unfolding station.